Check you have ftp details to your server and/or access to your hosting control panel. Get this from your host provider – it is important to have this information. Do not think “But I will never need that” or “I would not know what to do with that anyway”. Get that information – it is important and will save you a lot of time and/or money if something goes wrong. Take a full backup of your site. We like the UpdraftPlus plugin as that restores things nicely – and any backup is only as good as the restore results! 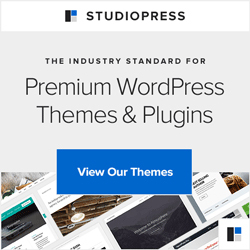 We suggest doing the Theme updates first (that was necessary for all StudioPress Genesis themes this time around and makes sense too, unless your theme provider is suggesting otherwise), then the plugins and then WordPress itself. Go for it – it’s very simple these days. Check everything is as it should be and that’s it, you’re done. If you have any problems that is when you’ll want to already know your FTP information so that you can pop in to the server, move the plugins from /wp-content/plugins to a newly created folder/directory (perhaps wp-content/pluginstore) and then see if your WordPress site is happy again. This will usually sort things out and you can then pop your plugins one by one back to the /wp-content/plugins folder to see which breaks things and then you’ll want to find an alternative to carry out the function you need. This is all “in a nutshell” and if it scares the pants off you, give us a shout and we can help. First we’ll tend to any plugins and themes that have been updated. From your Dashboard, go into the Updates menu and carry out any updating available for plugins and themes there. Next go to Plugins, Installed Plugins then into the Active list. You want to select all of your activated plugins and deactivate them. Now you need to pop back and activate your plugins – go to the Plugins, Installed Plugins section again, into the Recently Active list and activate your plugins ONE BY ONE. Why? So that if there is a problem with any of them, you’ll know which one it is and can connect to your server using those FTP details you’ve kept handy and remove the misbehaving plugin. You’ll know you have a problem – usually the screen just goes blank. If that happens, keep calm and visit this post to work through fixing it yourself, or if you’re not sure about doing that, get in touch and we can help. Why have we waited so long (3.3 was released mid-December)? Well partly because Christmas got in the way, and partly because we like to give the plugins and themes a chance to be double-checked that they work with the live, new version of WordPress. Even now some won’t have been checked and tweaked if necessary, and it is for those instances that it’s wise to be prepared. So – before you even think of updating, do the following. Hopefully, by the law of sod, you won’t need them, but we’ve had a few rescues to do for people who have then had to rummage around for some vital information. Backup your WordPress. If you don’t already, tsk! One of our latest favourites is EZPZ One Click Backup – very friendly and does the lot. Install this (Plugins, Add New and then search), then activate and choose your options – you’ll get a menu item just for the EZPZ OCB. Take a Manual Backup and then set a schedule for weekly (or however often is sensible for your activity). I then download my backup, just in case. Test your ftp information. Take a look at the post on how to connect to your server using ftp and test it. If you can do this, you can get to your WordPress site and most often that will be enough to recover from any white screens of doom. That’s it for now. Get this ready and in the next post we’ll update WordPress.